Sash Windows Wigan specialises in replacing and restoring traditional sash windows for homes in Wigan. We deliver to your address with full service, whether it is full service, draft proofing or a total overall. Our business is transforming your sash windows from drab-looking to efficient and attractive. We stand behind our installation and product services. The moment you hire us, you will see the values we hold to in the service we offer. We do not compromise our values at Sash Windows Wigan and are authentic as well as transparent. One of our defining principles is assuring our customers of the highest quality they deserve. Our clients in Wigan respect the reputation of our work and know we will not give up until we find a solution. When it comes to sash window installations we search for effective, convenient methods of getting the job done in a way that will produce windows able to endure the test of time and the rigours of weather condition. We have built long-lasting relationships, thanks to our commitment to quality customer service. The advantages that come with draught proofing include prevention of dirt and dust from entering the home, elimination of annoying rattles, better insulation and sound proofing. At Sash Windows Wigan, our draught proofing system is a customised process. We specialise in gap-sealing the window surround so that cold air can in no way get through. As part of our sash window service, some renovations can also be done, including sizing the sashes properly and repairing the sash window cords to make the window open smoothly. Working in Wigan for years, we have helped many homes resolve sash window issues. It is possible to have your sash window double glazed by our team if you live in Wigan. Get a more efficient home with a double glazing. Single glazed windows are simply not as efficient as a double glazed window. Double glazing is a better choice because it makes your home warmer, provides better insulation and increases energy efficiency. No two companies are alike when it comes to double glazing. Your best bet is often to go with the tried and tested company that has been around for years. It is designed to give three to five times more thermal insulation than other single glazed windows, no matter the solution used. It can be busy in the inner cities at time or you may have neighbours that are just too noisy. No matter what the reason is, you will get reduced noise when you double glaze your sash windows. We have performed a considerable number of sash window insulation projects on both residential and commercial properties in Wigan. These renovations have made living conditions better for the building residents by reducing noise through the sound proofing of windows. Hire a company that knows what it is doing and you will be surprised at the difference this makes in your home. Technical expertise is necessary to soundproof a space and we are the company to successfully complete your soundproofing project. Our shutters are specially made and complement any contemporary or traditional designed home. We can deliver quality shutters in any number of finishes that will look beautiful in your home, whether you prefer custom-built shutter frames, sandblasting, or a specific type of wood stain or colour. You can choose remote controls shutter for automatic operation, or opt for manual shutters. Call is if you need sash window shutters in Wigan. Sash Windows Tunbridge Wells serves Tunbridge Wells residents by replacing and restoring their traditional sash windows. Whether you need to draft proof, replace or a complete overhaul we provide full service to meet your every window need. Our company transforms your drab windows into something stunning and useful, increasing the value of your home in the process. We put our clients’ needs first by producing sash windows after working with them that are beautiful as well as functional. As one of the best companies in our industry, we provide suggestions that prevent draught from entering the house during winter as well as make your home look beautiful. The customer’s interest is what drives our business. We believe in our products and services. When you hire us for our sash window services, you will realise you are protected by authenticity of the value and professional conduct we represent. At Sash Windows Tunbridge Wells, we vow to deliver our best and stay true to our word. One of our defining principles is ensuring clients get the top quality service they deserve. We make it our responsibility to succeed in any sash window project we are hired to solve. Using our skilled professionals to attend effectively to our customers is just one way we accomplish this. Our team will find a solution no matter how technical the project is. Our clients in Tunbridge Wells have seen the quality of our sash windows and know that we don’t relent till we provide excellent results. Since our company was started many years ago, we have formed long-term relationships with several customers who live in Tunbridge Wells. Our commitment to quality service and customer service has built lasting relationships. Draught proofing brings many benefits – noise reduction, prevention of dirt and dust, elimination of annoying rattles and better insulation. At Sash Windows Tunbridge Wells, our draught proofing system is a specialised process. We seal the gaps that surround a window so that it almost impossible for cold air and draught to penetrate your home. As part of our draught proofing service, various renovations can also be performed, including fixing the sash window cords, properly sizing the sashes so that the window can open smoothly. We have resolved cases of faulty sash windows in many houses given that we have operated in Tunbridge Wells for years. It is possible to have your sash window double glazed by our team if you live in Tunbridge Wells. It is known that single glazed windows only offer limited insulation. Double glazes makes the room feel warmer and saves on your next electric bill. No two companies are alike when it comes to double glazing. Your best bet is often to go with the tried and tested company that has been around for years. Regardless of the solution used, it is assured to offer between 3 to 5 times greater thermal insulation than windows that are single glazed. Areas in the centre of the city might be bustling and loud, or you might have noisy neighbours; if so, our service will work towards reducing noise disturbance no matter the cause. We have performed a considerable number of sash window insulation projects on both residential and commercial properties in Tunbridge Wells. Get help soundproofing your space once and for all and this will benefit every resident or worker within the space. Hire a company that knows what it is doing and you will be surprised at the difference this makes in your home. Technical expertise is necessary to soundproof a space and we are the company to successfully complete your soundproofing project. Our shutters are specially made and complement any contemporary or traditional designed home. We have a wide range of finishes, so if you prefer a specific type of colour or wood stain, sandblasting or custom-built shutter frames, we can deliver excellent shutters that will look amazing in your home. You can choose remote controls shutter for automatic operation, or opt for manual shutters. Don’t hesitate to contact us if your home in Tunbridge Wells could use new shutters for the sash windows. Our secondary glazing causes little effect on the original appearance of the windows while also providing maximum sound insulation. The good thing about secondary glazing is it could be made with wooden frames and painted to match your preferred design for interior decor. The primary benefit of secondary glazing is reducing noise to the lowest possible level. It also reduces the amount of heat lost, thus improving energy-efficiency. Sash Windows Trafford serves Trafford residents by replacing and restoring their traditional sash windows. 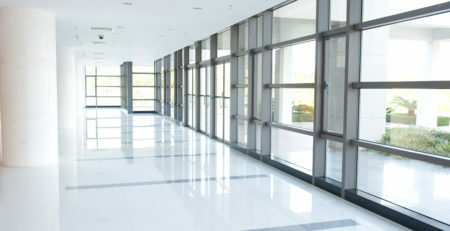 Whether you need to draft proof, replace or a complete overhaul we provide full service to meet your every window need. Our company transforms your drab windows into something stunning and useful, increasing the value of your home in the process. We believe in our products and services. When you hire us for our sash window services, you will realise you are protected by authenticity of the value and professional conduct we represent. At Sash Windows Trafford, we vow to deliver our best and stay true to our word. One of our defining principles is ensuring clients get the top quality service they deserve. Our clients in Trafford have seen the quality of our sash windows and know that we don’t relent till we provide excellent results. Since our company was started many years ago, we have formed long-term relationships with several customers who live in Trafford. Our commitment to quality service and customer service has built lasting relationships. Draught proofing brings many benefits – noise reduction, prevention of dirt and dust, elimination of annoying rattles and better insulation. At Sash Windows Trafford, our draught proofing system is a specialised process. We seal the gaps that surround a window so that it almost impossible for cold air and draught to penetrate your home. As part of our draught proofing service, various renovations can also be performed, including fixing the sash window cords, properly sizing the sashes so that the window can open smoothly. We have resolved cases of faulty sash windows in many houses given that we have operated in Trafford for years. It is possible to have your sash window double glazed by our team if you live in Trafford. It is known that single glazed windows only offer limited insulation. Double glazes makes the room feel warmer and saves on your next electric bill. No two companies are alike when it comes to double glazing. Your best bet is often to go with the tried and tested company that has been around for years. Regardless of the solution used, it is assured to offer between 3 to 5 times greater thermal insulation than windows that are single glazed. Areas in the centre of the city might be bustling and loud, or you might have noisy neighbours; if so, our service will work towards reducing noise disturbance no matter the cause. We have performed a considerable number of sash window insulation projects on both residential and commercial properties in Trafford. Get help soundproofing your space once and for all and this will benefit every resident or worker within the space. Hire a company that knows what it is doing and you will be surprised at the difference this makes in your home. Technical expertise is necessary to soundproof a space and we are the company to successfully complete your soundproofing project. Our shutters are specially made and complement any contemporary or traditional designed home. We have a wide range of finishes, so if you prefer a specific type of colour or wood stain, sandblasting or custom-built shutter frames, we can deliver excellent shutters that will look amazing in your home. You can choose remote controls shutter for automatic operation, or opt for manual shutters. Don’t hesitate to contact us if your home in Trafford could use new shutters for the sash windows. Sash Windows Tower Hamlets serves Tower Hamlets residents by replacing and restoring their traditional sash windows. Whether it is a complete overhaul or draught proofing to outright replacements, we deliver full service to address all your needs. Our role is to transform your traditional sash windows from looking dated to attractive and efficient. We know what our customers need hence we work hand in hand with them to provide sash windows that are efficient and attractive. With the years of experience we have, we improve your home’s general outlook and prevent drafts from coming in during the colder months. The customers’ interests form the core of our services. We stand behind our installation and product services. Get a firsthand look at our quality of service authenticity the moment you hire us. At Sash Windows Tower Hamlets, we vow to deliver our best and stay true to our word. One of our defining principles is assuring our customers of the highest quality they deserve. We ensure every job is a success when we take on the responsibility of a sash window project request. We take your needs into consideration and make sure that the sash project you request is exactly as you imagined it to be and more. We are hardworking and follow through each and every time. Our clients in Tower Hamlets respect the reputation of our work and know we will not give up until we find a solution. Since our company was started many years ago, we have formed long-term relationships with several customers who live in Tower Hamlets. Lasting relationships have been built through the years, with commitment to customer service that is hard to beat. The advantages that come with draught proofing include prevention of dirt and dust from entering the home, elimination of annoying rattles, better insulation and sound proofing. At Sash Windows Tower Hamlets, we use a specialised process for draught proofing system. We seal the gaps that surround a window so that it almost impossible for cold air and draught to penetrate your home. Some renovations can also be done as part of our draught proofing service, including properly sizing the sashes and fixing the sash window cords to make the window open smoothly. In Tower Hamlets, we have fixed sash windows in more than a few homes for years, with great results. If you live in Tower Hamlets, it is possible to have your sash windows double glazed by our team. It is known that single glazed windows only offer limited insulation. Make your space more energy efficient by double glazing your sash windows today. The service and the solution used often determine the results that one gets from double glazing since it is different depending on the place. It is designed to give three to five times more thermal insulation than other single glazed windows, no matter the solution used. It can be busy in the inner cities at time or you may have neighbours that are just too noisy. No matter what the reason is, you will get reduced noise when you double glaze your sash windows. We have done various sash window insulation projects in Tower Hamlets including both commercial and residential properties. Our renovations have aided in making living conditions better for home owners by sound proofing windows. Hire a company that knows what it is doing and you will be surprised at the difference this makes in your home. Soundproofing isn’t as easy as it seems and requires the technical expertise of an experienced service to complete successfully. You can easily add our shutters to a contemporary or traditional designed home because they are custom-made. We have a wide range of finishes, so if you prefer a specific type of colour or wood stain, sandblasting or custom-built shutter frames, we can deliver excellent shutters that will look amazing in your home. You can choose remote controls shutter for automatic operation, or opt for manual shutters. Don’t hesitate to contact us if your home in Tower Hamlets could use new shutters for the sash windows. Our secondary glazing does not interfere with the window’s original appearance and offers maximum noise insulation to sash windows. The good thing about secondary glazing is it could be made with wooden frames and painted to match your preferred design for interior decor. Dramatically reduce noise in your home or office. It also reduces the amount of heat lost, thus improving energy-efficiency. Your building’s character remains the same and satisfies the Heritage and Conservation laws if these apply. We can improve the beauty of your home if you reside in Tower Hamlets and are planning to renovate your home, whether it is modern or traditionally styled. Our process is straightforward and begins with a free initial consultation. Interested in finding out more? Contact us at our address below. Sash Windows Telford serves Telford residents by replacing and restoring their traditional sash windows. Whether it is a complete overhaul or draught proofing to outright replacements, we deliver full service to address all your needs. Our role is to transform your traditional sash windows from looking dated to attractive and efficient. We stand behind our installation and product services. Get a firsthand look at our quality of service authenticity the moment you hire us. At Sash Windows Telford, we vow to deliver our best and stay true to our word. One of our defining principles is assuring our customers of the highest quality they deserve. Our clients in Telford respect the reputation of our work and know we will not give up until we find a solution. Since our company was started many years ago, we have formed long-term relationships with several customers who live in Telford. Lasting relationships have been built through the years, with commitment to customer service that is hard to beat. The advantages that come with draught proofing include prevention of dirt and dust from entering the home, elimination of annoying rattles, better insulation and sound proofing. At Sash Windows Telford, we use a specialised process for draught proofing system. We seal the gaps that surround a window so that it almost impossible for cold air and draught to penetrate your home. Some renovations can also be done as part of our draught proofing service, including properly sizing the sashes and fixing the sash window cords to make the window open smoothly. In Telford, we have fixed sash windows in more than a few homes for years, with great results. If you live in Telford, it is possible to have your sash windows double glazed by our team. It is known that single glazed windows only offer limited insulation. Make your space more energy efficient by double glazing your sash windows today. The service and the solution used often determine the results that one gets from double glazing since it is different depending on the place. It is designed to give three to five times more thermal insulation than other single glazed windows, no matter the solution used. It can be busy in the inner cities at time or you may have neighbours that are just too noisy. No matter what the reason is, you will get reduced noise when you double glaze your sash windows. We have done various sash window insulation projects in Telford including both commercial and residential properties. Our renovations have aided in making living conditions better for home owners by sound proofing windows. Hire a company that knows what it is doing and you will be surprised at the difference this makes in your home. Soundproofing isn’t as easy as it seems and requires the technical expertise of an experienced service to complete successfully. You can easily add our shutters to a contemporary or traditional designed home because they are custom-made. We have a wide range of finishes, so if you prefer a specific type of colour or wood stain, sandblasting or custom-built shutter frames, we can deliver excellent shutters that will look amazing in your home. You can choose remote controls shutter for automatic operation, or opt for manual shutters. Don’t hesitate to contact us if your home in Telford could use new shutters for the sash windows. Your building’s character remains the same and satisfies the Heritage and Conservation laws if these apply. We can improve the beauty of your home if you reside in Telford and are planning to renovate your home, whether it is modern or traditionally styled. Our process is straightforward and begins with a free initial consultation. Interested in finding out more? Contact us at our address below. Sash Windows Tamworth serves Tamworth residents by replacing and restoring their traditional sash windows. Whether it is a complete overhaul or draught proofing to outright replacements, we deliver full service to address all your needs. Our role is to transform your traditional sash windows from looking dated to attractive and efficient. We stand behind our installation and product services. Get a firsthand look at our quality of service authenticity the moment you hire us. At Sash Windows Tamworth, we vow to deliver our best and stay true to our word. One of our defining principles is assuring our customers of the highest quality they deserve. Our clients in Tamworth respect the reputation of our work and know we will not give up until we find a solution. Since our company was started many years ago, we have formed long-term relationships with several customers who live in Tamworth. Lasting relationships have been built through the years, with commitment to customer service that is hard to beat. The advantages that come with draught proofing include prevention of dirt and dust from entering the home, elimination of annoying rattles, better insulation and sound proofing. At Sash Windows Tamworth, we use a specialised process for draught proofing system. We seal the gaps that surround a window so that it almost impossible for cold air and draught to penetrate your home. Some renovations can also be done as part of our draught proofing service, including properly sizing the sashes and fixing the sash window cords to make the window open smoothly. In Tamworth, we have fixed sash windows in more than a few homes for years, with great results. If you live in Tamworth, it is possible to have your sash windows double glazed by our team. It is known that single glazed windows only offer limited insulation. Make your space more energy efficient by double glazing your sash windows today. The service and the solution used often determine the results that one gets from double glazing since it is different depending on the place. It is designed to give three to five times more thermal insulation than other single glazed windows, no matter the solution used. It can be busy in the inner cities at time or you may have neighbours that are just too noisy. No matter what the reason is, you will get reduced noise when you double glaze your sash windows. We have done various sash window insulation projects in Tamworth including both commercial and residential properties. Our renovations have aided in making living conditions better for home owners by sound proofing windows. Hire a company that knows what it is doing and you will be surprised at the difference this makes in your home. Soundproofing isn’t as easy as it seems and requires the technical expertise of an experienced service to complete successfully. You can easily add our shutters to a contemporary or traditional designed home because they are custom-made. We have a wide range of finishes, so if you prefer a specific type of colour or wood stain, sandblasting or custom-built shutter frames, we can deliver excellent shutters that will look amazing in your home. You can choose remote controls shutter for automatic operation, or opt for manual shutters. Don’t hesitate to contact us if your home in Tamworth could use new shutters for the sash windows. Your building’s character remains the same and satisfies the Heritage and Conservation laws if these apply. We can improve the beauty of your home if you reside in Tamworth and are planning to renovate your home, whether it is modern or traditionally styled. Our process is straightforward and begins with a free initial consultation. Interested in finding out more? Contact us at our address below. Sash Windows Sutton is well-known for restoring and replacing traditional sash windows for Sutton homes. We provide full service that will cater to all your needs, whether it is a draught proofing, complete overhaul, to outright replacements. We transform your sash windows from super drab to ultra attractive and efficient. We know what our customers need hence we work hand in hand with them to provide sash windows that are efficient and attractive. Prevent drafts from seeping in the winter as well as giving your home a great makeover with our service. The customer’s interest is what drives our business. We believe in our installation and restoration services. When you hire us for our sash window services, you will realise you are protected by authenticity of the value and professional conduct we represent. We compromise nothing when it comes to values of our Sash Windows Sutton. Ensuring our customers receive the quality they deserve is one of our defining principles. We ensure every job is a success when we take on the responsibility of a sash window project request. This has to do with using our professional skills to follow through on what we promise you. No matter how complicated, our team will find a solution. Our previous clients understand how well we pursue perfect results. When it comes to sash window installations we search for effective, convenient methods of getting the job done in a way that will produce windows able to endure the test of time and the rigours of weather condition. Our commitment to customer service and quality has built strong client relationships. Draught proofing brings many benefits – noise reduction, prevention of dirt and dust, elimination of annoying rattles and better insulation. At Sash Windows Sutton, we use a specialised process for draught proofing system. We specialise in gap-sealing the window surround so that cold air can in no way get through. As part of the process of draft proofing, we fix cords and do sash sizing so that opening the window is smooth. Having been providing reliable service in Sutton for years, we have tons of experience in fixing sash windows in home after home. You can have our team double glaze your windows if you are in the area of Sutton. It is well-known that little insulation is provided by single glazed windows. Double glazes makes the room feel warmer and saves on your next electric bill. However, it is noteworthy that double glazing may offer you different results depending on the skills and the service implemented as it isn’t the same everywhere. It is designed to give three to five times more thermal insulation than other single glazed windows, no matter the solution used. Areas in the centre of the city might be bustling and loud, or you might have noisy neighbours; if so, our service will work towards reducing noise disturbance no matter the cause. We have performed a considerable number of sash window insulation projects on both residential and commercial properties in Sutton. The best part is that you get more efficient living space and increase the value of your home in the process. Our noise reduction process entails fitting an acoustic glass that reduces sound and resembles regular glass. Sound proofing is a difficult task requiring the services of an expert with technical prowess who can do the job right. Whether your home is modern or classic, we provide custom made shutters that look absolutely stunning. We have a wide range of finishes, so if you prefer a specific type of colour or wood stain, sandblasting or custom-built shutter frames, we can deliver excellent shutters that will look amazing in your home. In addition, we use remote controllers to modify our shutters automatically and manually. Don’t hesitate to contact us if your home in Sutton could use new shutters for the sash windows. Our secondary glazing causes little effect on the original appearance of the windows while also providing maximum sound insulation. The good thing about secondary glazing is it could be made with wooden frames and painted to match your preferred design for interior decor. Enjoy minimal noise pollution if any with double glazed windows as well as reducing heat loss and improving energy efficiency. Increased energy efficiency is another big benefit. Sash Windows Sutton Coldfield is well-known for restoring and replacing traditional sash windows for Sutton Coldfield homes. We provide full service that will cater to all your needs, whether it is a draught proofing, complete overhaul, to outright replacements. We transform your sash windows from super drab to ultra attractive and efficient. We believe in our installation and restoration services. When you hire us for our sash window services, you will realise you are protected by authenticity of the value and professional conduct we represent. We compromise nothing when it comes to values of our Sash Windows Sutton Coldfield. Ensuring our customers receive the quality they deserve is one of our defining principles. Draught proofing brings many benefits – noise reduction, prevention of dirt and dust, elimination of annoying rattles and better insulation. At Sash Windows Sutton Coldfield, we use a specialised process for draught proofing system. We specialise in gap-sealing the window surround so that cold air can in no way get through. As part of the process of draft proofing, we fix cords and do sash sizing so that opening the window is smooth. Having been providing reliable service in Sutton Coldfield for years, we have tons of experience in fixing sash windows in home after home. You can have our team double glaze your windows if you are in the area of Sutton Coldfield. It is well-known that little insulation is provided by single glazed windows. Double glazes makes the room feel warmer and saves on your next electric bill. However, it is noteworthy that double glazing may offer you different results depending on the skills and the service implemented as it isn’t the same everywhere. It is designed to give three to five times more thermal insulation than other single glazed windows, no matter the solution used. Areas in the centre of the city might be bustling and loud, or you might have noisy neighbours; if so, our service will work towards reducing noise disturbance no matter the cause. We have performed a considerable number of sash window insulation projects on both residential and commercial properties in Sutton Coldfield. The best part is that you get more efficient living space and increase the value of your home in the process. Our noise reduction process entails fitting an acoustic glass that reduces sound and resembles regular glass. Sound proofing is a difficult task requiring the services of an expert with technical prowess who can do the job right. Whether your home is modern or classic, we provide custom made shutters that look absolutely stunning. We have a wide range of finishes, so if you prefer a specific type of colour or wood stain, sandblasting or custom-built shutter frames, we can deliver excellent shutters that will look amazing in your home. In addition, we use remote controllers to modify our shutters automatically and manually. Don’t hesitate to contact us if your home in Sutton Coldfield could use new shutters for the sash windows. Sash Windows Surrey is well-known for restoring and replacing traditional sash windows for Surrey homes. We provide full service that will cater to all your needs, whether it is a draught proofing, complete overhaul, to outright replacements. We transform your sash windows from super drab to ultra attractive and efficient. We believe in our installation and restoration services. When you hire us for our sash window services, you will realise you are protected by authenticity of the value and professional conduct we represent. We compromise nothing when it comes to values of our Sash Windows Surrey. Ensuring our customers receive the quality they deserve is one of our defining principles. Draught proofing brings many benefits – noise reduction, prevention of dirt and dust, elimination of annoying rattles and better insulation. At Sash Windows Surrey, we use a specialised process for draught proofing system. We specialise in gap-sealing the window surround so that cold air can in no way get through. As part of the process of draft proofing, we fix cords and do sash sizing so that opening the window is smooth. Having been providing reliable service in Surrey for years, we have tons of experience in fixing sash windows in home after home. You can have our team double glaze your windows if you are in the area of Surrey. It is well-known that little insulation is provided by single glazed windows. Double glazes makes the room feel warmer and saves on your next electric bill. However, it is noteworthy that double glazing may offer you different results depending on the skills and the service implemented as it isn’t the same everywhere. It is designed to give three to five times more thermal insulation than other single glazed windows, no matter the solution used. Areas in the centre of the city might be bustling and loud, or you might have noisy neighbours; if so, our service will work towards reducing noise disturbance no matter the cause. We have performed a considerable number of sash window insulation projects on both residential and commercial properties in Surrey. The best part is that you get more efficient living space and increase the value of your home in the process. Our noise reduction process entails fitting an acoustic glass that reduces sound and resembles regular glass. 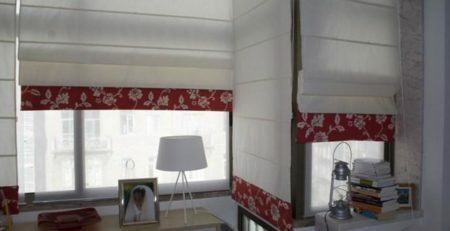 Sound proofing is a difficult task requiring the services of an expert with technical prowess who can do the job right. Whether your home is modern or classic, we provide custom made shutters that look absolutely stunning. We have a wide range of finishes, so if you prefer a specific type of colour or wood stain, sandblasting or custom-built shutter frames, we can deliver excellent shutters that will look amazing in your home. In addition, we use remote controllers to modify our shutters automatically and manually. Don’t hesitate to contact us if your home in Surrey could use new shutters for the sash windows.